Pluma Jewelry is the result of a deep passion and appreciation for a modern yet timeless design aesthetic. Born out of true creative drive, Pluma Jewelry illustrates how meticulous detailing and creativity marry for a collection with depth and variety for a woman who acknowledges the beauty and significance of original pieces. Designer Treffry Caldwell first began making jewelry out of the love for stones. Even as a child on family vacations she would fill her pockets with sparkling rocks and colorful seashells. Somewhere in an attic those once prized possessions remain. She now marvels over the micro-facetted semi-precious stones and raw geodes from around the world with which she creates the designs of Pluma Jewelry. Every piece is about color, cut, balance and proportion. These are truly the driving factors behind every creation. 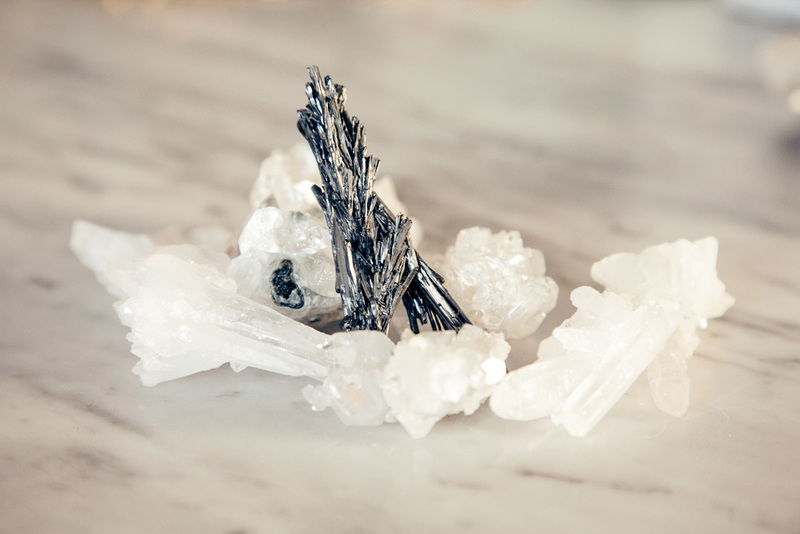 Natural minerals, gemstones and geodes are acquired through tireless searching and often getting the opportunity to purchase from dealers that bring them directly from their countries of origin. Spellbinding geodes like azurite, malachite, apopthylite and many others are from distant lands of Siberia, the Ural Mountains of Russia, India and more. Exciting news you'll want to know about coming soon! Just sign up be the first to know. We respect your privacy and this will stay just between us.